Lots of Quilt Festival news. 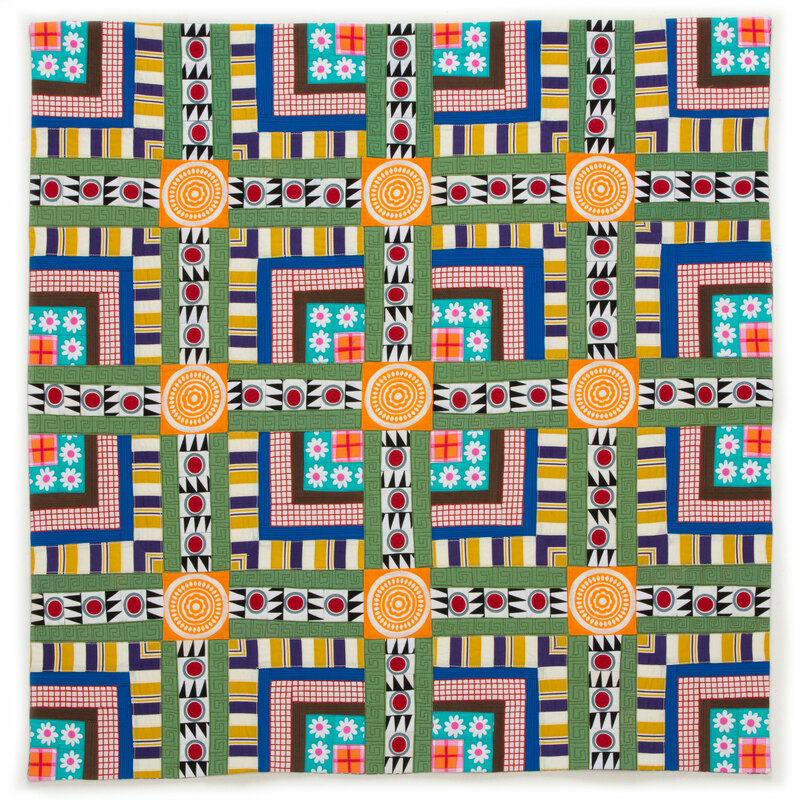 First, the International Quilt Association announced the quilt makers who will have thier work on display at this year’s show. This news spread like jam on toast through out the Facebook Quilting community. I must say it is super exciting to see your friend’s work and know that they got into the show. Congrats to everyone—its a big deal, and it should be celebrated. I feel very fortunate to say that I have two pieces going to the big show. Tic-Tac-OH! is ready to travel to Houston. 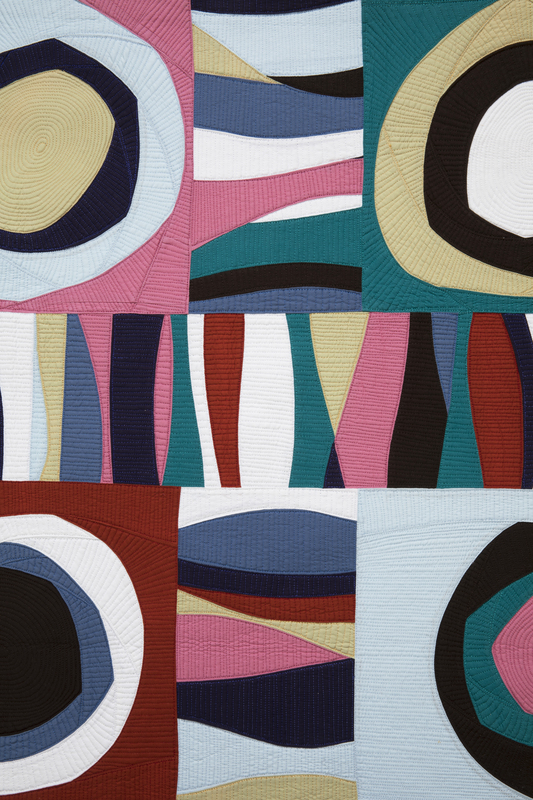 This quilt was a very good lesson in quilting curves. It will be a part of the Pieced Small Category. Mirror Ball will also be on display. I often call this piece the BEAST. 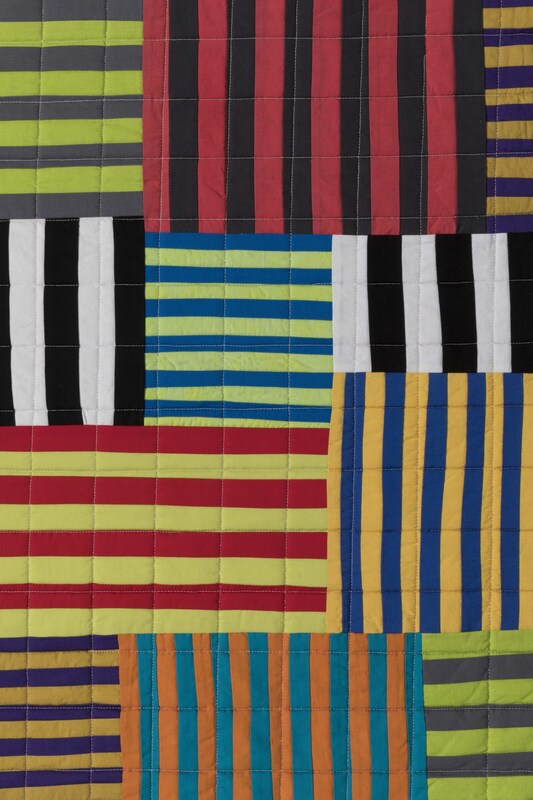 It took many hours at all stages of the quilt making process—piecing, cutting, pressing, and quilting. The back gives you the full on idea how many the hours were involved in thread work. I know you are going to ask, so I will tell you. It took about 80 hours to quilt, which isn’t really THAT long. 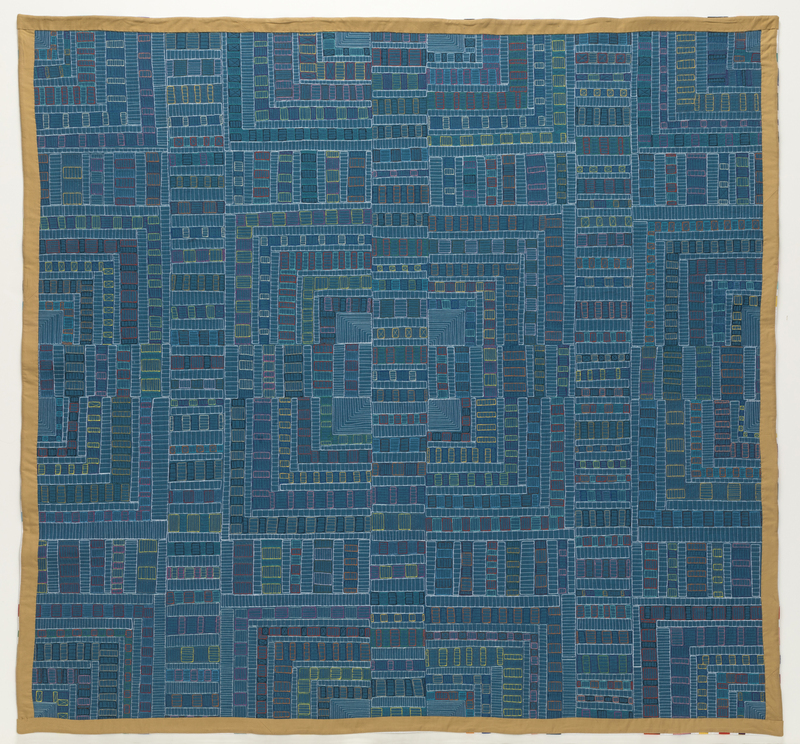 The piece is large–60” x 60′. Mirror Ball will be displayed in the Abstract Large Category. 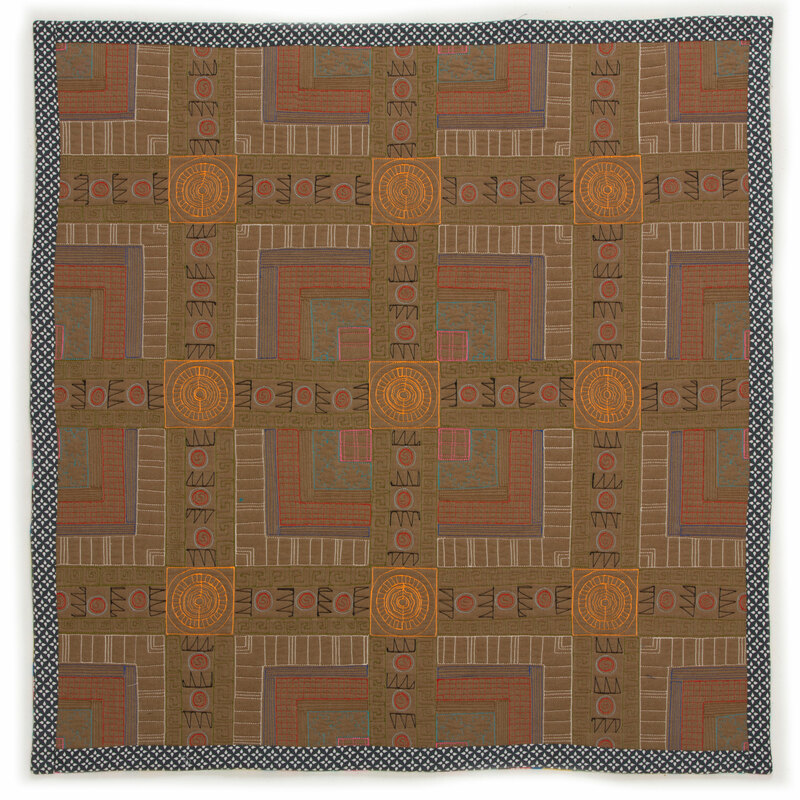 In addition to having the two quilts in the Festival show, I also have several quilts in Speical Exhibits. HARU will be part of Metamorphosis. This SAQA Global Exhibition debuts at Festival. If things go right, HARU will travel the world for three years before coming home. 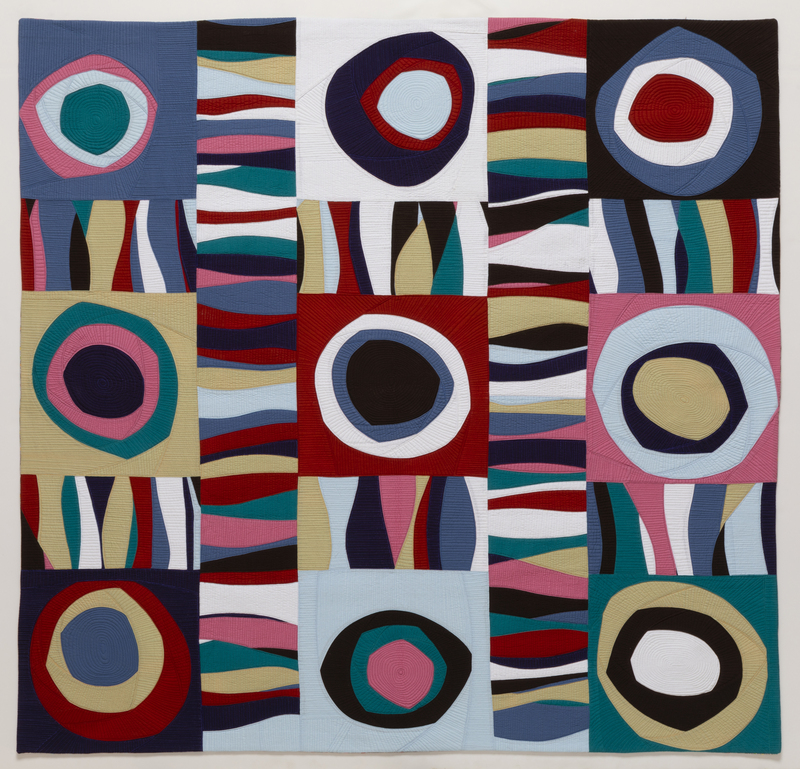 If I am really lucky, someone will buy the quilt, and it will go to a new home. 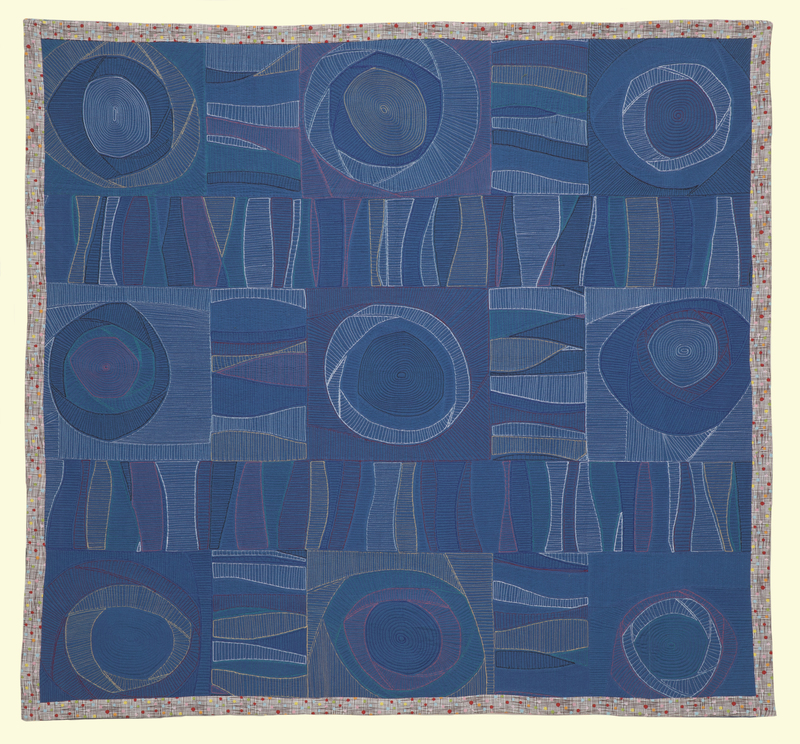 That happened the last time I had a quilt in a SAQA exhibition that debuted in Houston. 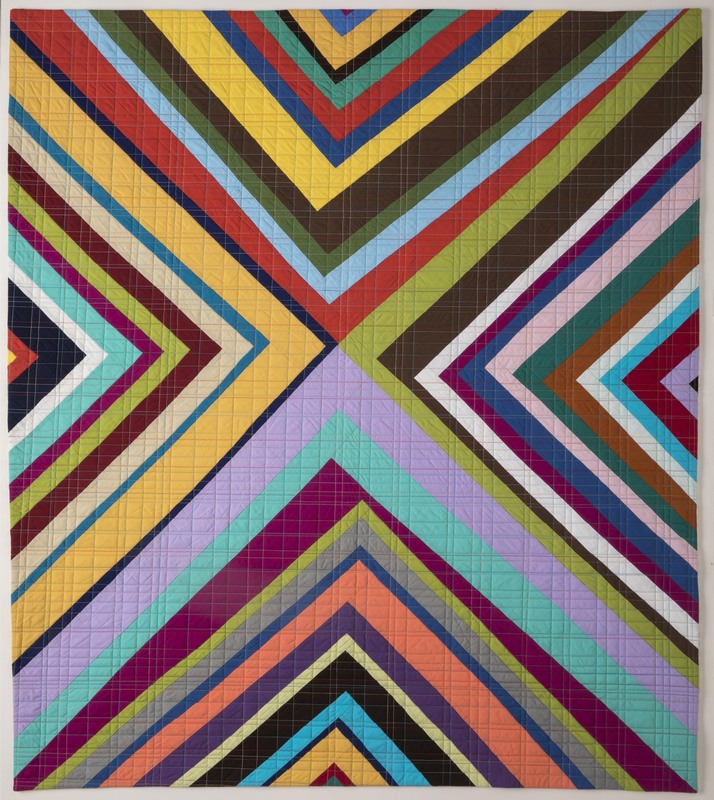 BIG TRI is part of the special exhibition In the American Tradition- Pieced. This year the jurors decided to create several exhibitions under the umbrella of In the American Tradition. 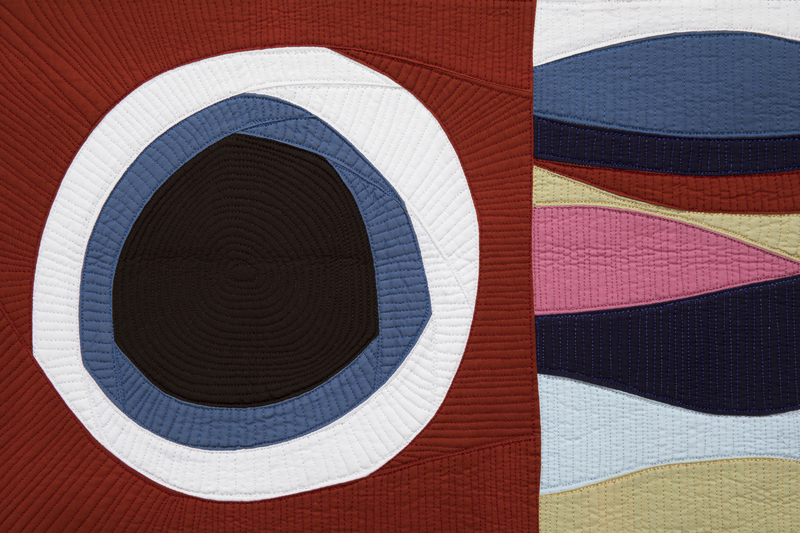 There will be a Pieced, Classic, and Appliquéd exhibition all under the theme of In the American Tradition. 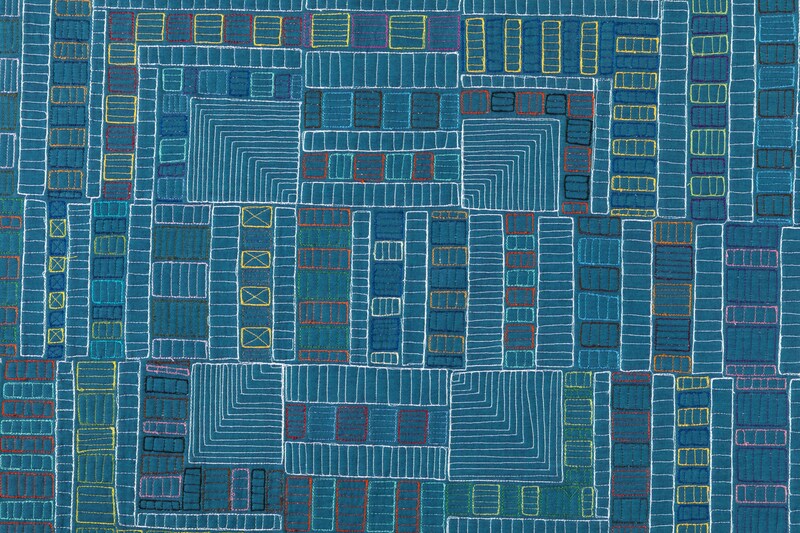 Striped Chaos will be part of the Modern Quilt Guild Showcase. 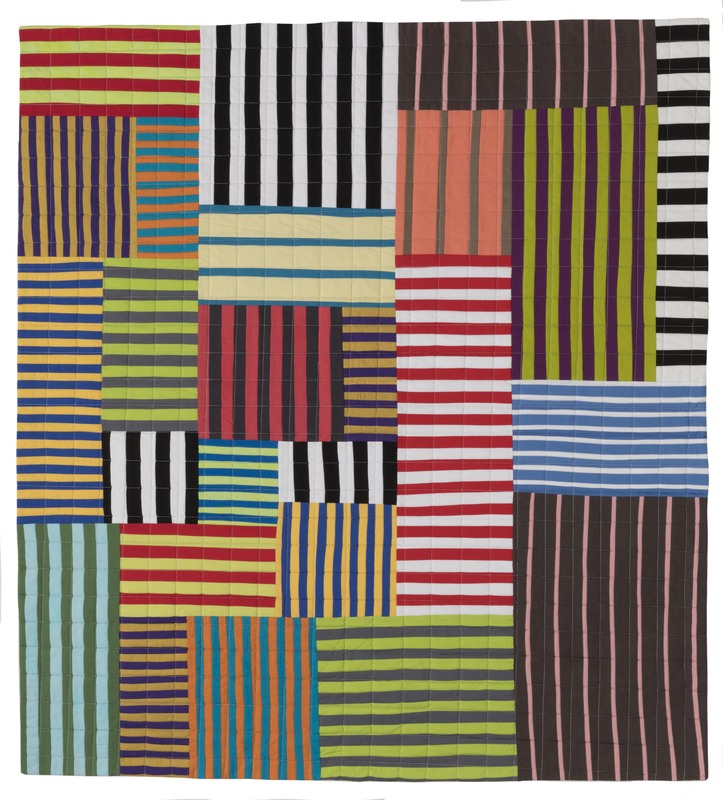 BIG TRI and Striped Chaos are both quilts I made for my book. The other big news is that online enrollment is now open for Festival Workshops at Houston. I have a busy teaching schedule this year. Here are the details. 9AM – 12PM Workshop: Show Your Work! If you have questions about the workshops, please ask them here. I also want to point out that I am teaching several maker development classes—Social Media for Makers, Show Your Work!, and Time Tracking for Makers. These workshops have loads about how I use social, enter exhibitions, and manage my time. AND for the first time ever, I am teaching a a workshop about color. It is called Color–It’s Relative. It is going to be action packed. I hope you will join me! 17 Jul	This entry was published on July 17, 2018 at 4:16 PM. It’s filed under Quilt Stories, TEACHING and tagged Houston Workshops, International Quilt Festival Houston, IQF Quilt Show. Bookmark the permalink. Follow any comments here with the RSS feed for this post. 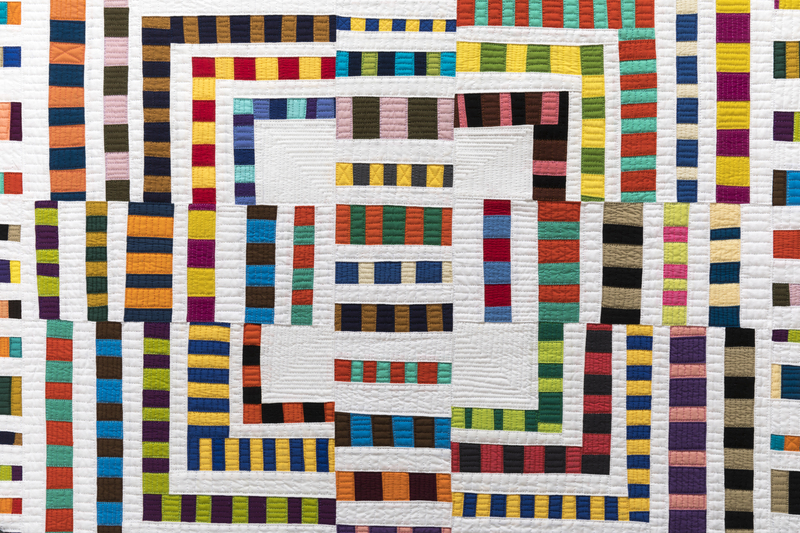 An awesome group of quilts in the show! I hope you are able to spend a little bit of time enjoying the show. Your schedule is daunting! I am there until Monday, so most of Saturday and Sunday will be spent enjoying the quilts and favorite vendors. Will you be there? No plans for this year. Well, do let me know when you go again, it would be great to cross paths. Congrats! Five quilts in the show!! I only have one quilt going this year after five last year but it still feels pretty good! Will you be there? Will we be getting margaritas? Not planning on it now…I’m going to Hawaii in Nov…but maybe I could do both… Those margaritas were very good! Who knows. Maybe we will have margaritas in California. Safe travels Mickey! 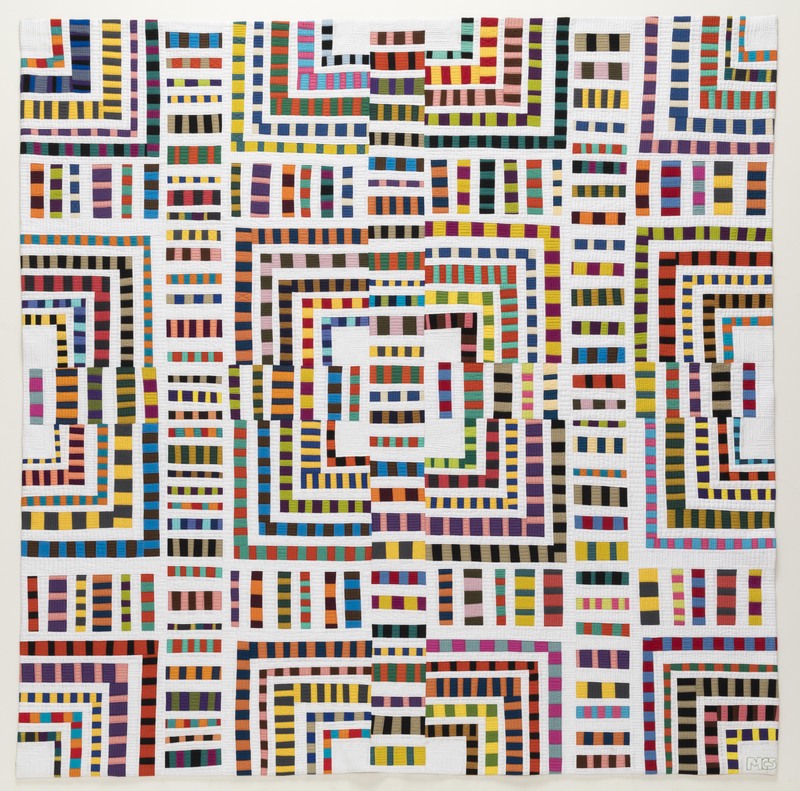 They are all wonderful quilts—congratulations on having so many get in! I love the backs just as much as the fronts! Congratulations. Your detailed planning and hard work are paying off in spades. It is crazy to think about all that has happened since I taught for you folks! AT AQM we were giving other quilters a white-gloved peek at the back of your quilt. Lots of oohs and ahhh! I am very glad to hear that! I love for people to see the backsides of my quilts! 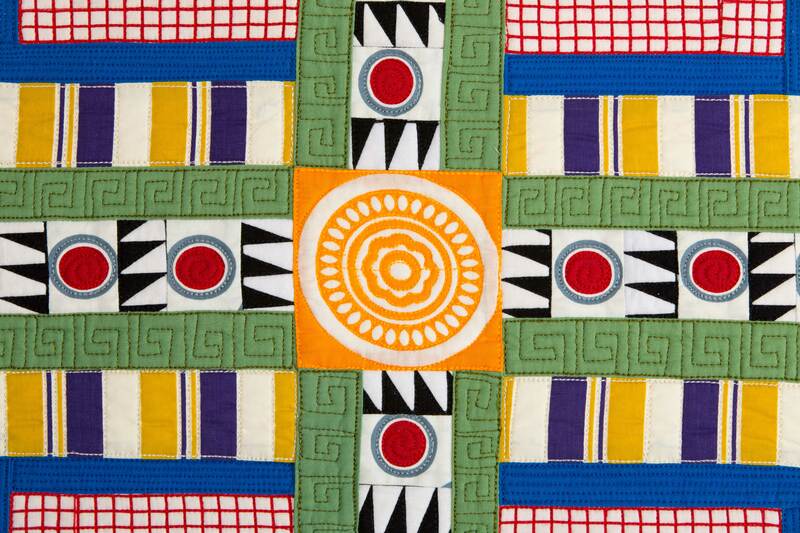 All of those quilts are beautiful and vibrant! 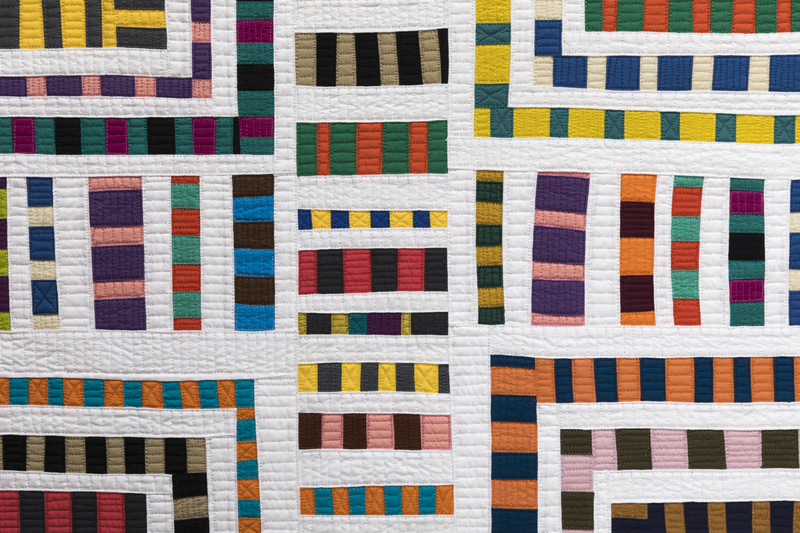 You and your book are the reason I’m finally venturing into learning to quilt — and my sites are set on diving into the improv style and process you embody. Thank you for that, and congratulations on your continued success! Mike- You can do it! Thank you for the positive feedback. It keeps me going! International Quilt Festival and Quilter’s Affair should be on every quilter’s list. I hope if happens for you! 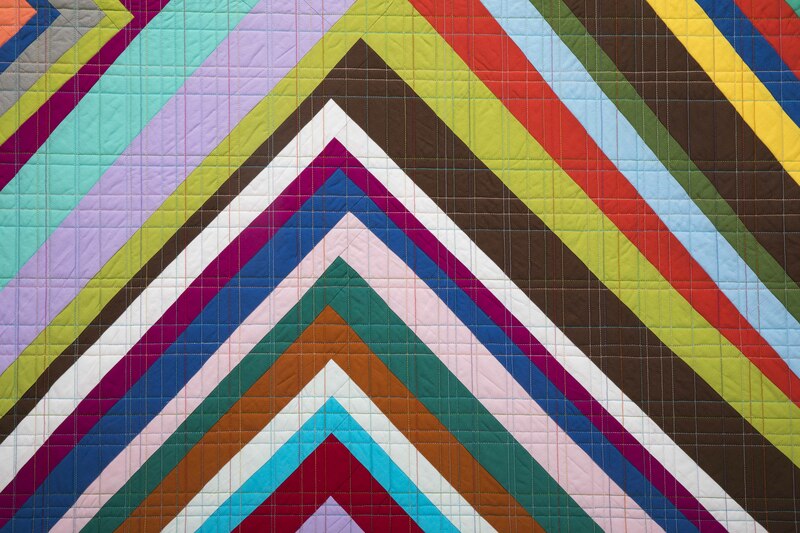 Your quilts create a unique vibrant world. I loved hearing you speak to our PVQA guild when you were in Santa Cruz, CA this year (tho sadly missed the workshop), and your book is at my side for inspiration. I have many fabrics laid out ready to jump in to your improv style. Congratulations on all the fabulous entries! Thank you Ruth! I hope you give improv a try. It is very liberating! I will be there for Market as well as Festival. It’s my first Market but my 2nd Festival. I hope to be able to take one of your classes, but hard to decide which one. They all sound so interesting! Enjoying your blog et al, first time I have visited. I hope you get into a workshop. Kitchen Sink Quilting still has a few spots. The Uptown Computer bag workshop has plenty of room and will be super fun. Please say hello if you do sign up!